ECDL in Education Austria allows to earn different certificates especially catering to the needs of young people. 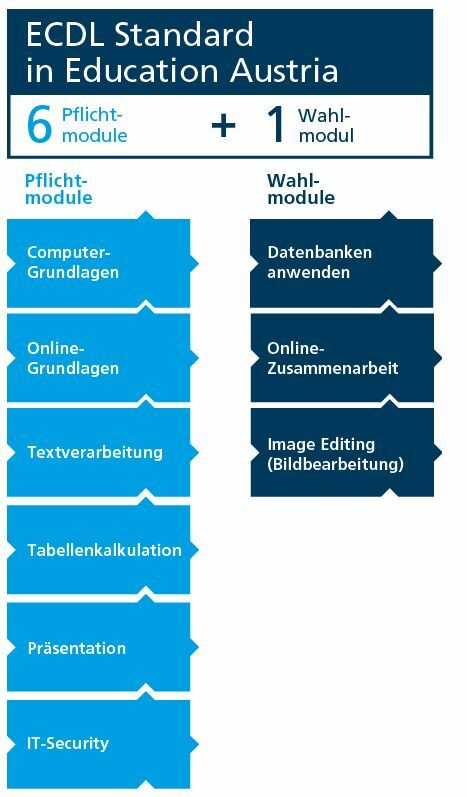 Since 1998 the ECDL has been offered on different types of schools, supported by the Austrian Federal Ministry of Education, Science and Research BMBWF. Pupils get the chance to have their computer skills certified by doing the ECDL. This additional qualification for pupils is offered on a voluntary basis. Many schools have already integrated the learning contents of the ECDL into their IT curricula. Austria is setting an example for Europe here. The pupils can study for their tests in any way they like. 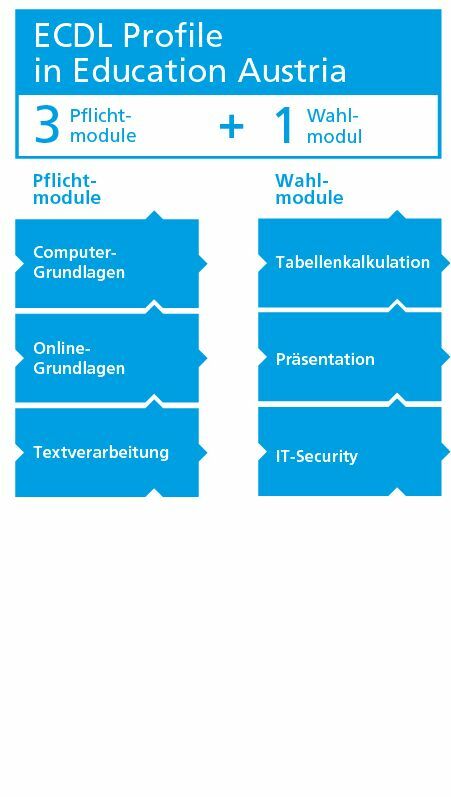 There is approved learning material (in German) available. For English material please contact the ECDL Foundation. The Austrian association Verein ECDL an Schulen is responsible for the administration. As partner of the OCG and authorised ECDL Test Center, it works on behalf and supported by BMBWF. That is a totoal of € 142.00 for all 7 modules of the ECDL Standard in education.